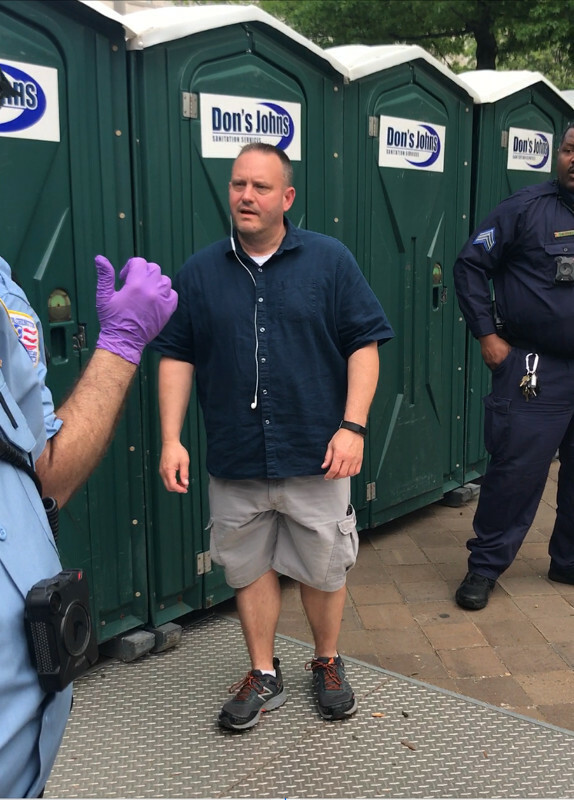 The brown shirted "suspected neo-Nazi" who harassed an activist at the Mayday protest on Freedom Plaza has been identified as an undercover cop. He and another undercover cop in similar dress were seen together at the outhouse where pigs rooted through feces to recover a cell phone. 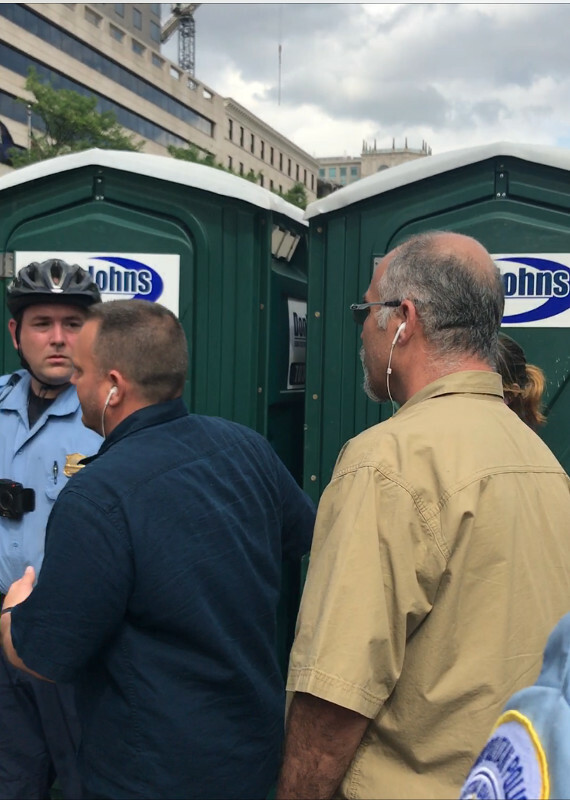 The brownshirted undercover who was mistaken for another kind of brown shirt attempted without success to induce an activist to discuss his case with bald-faced lies about the case. The lies told were consistent with those being used by open Nazis and "alt-right" closeted Nazis against the same activist. Brown Shirt was also seen getting physical on the side of the police in another incident, not sure about Blue Shirt in that incident. 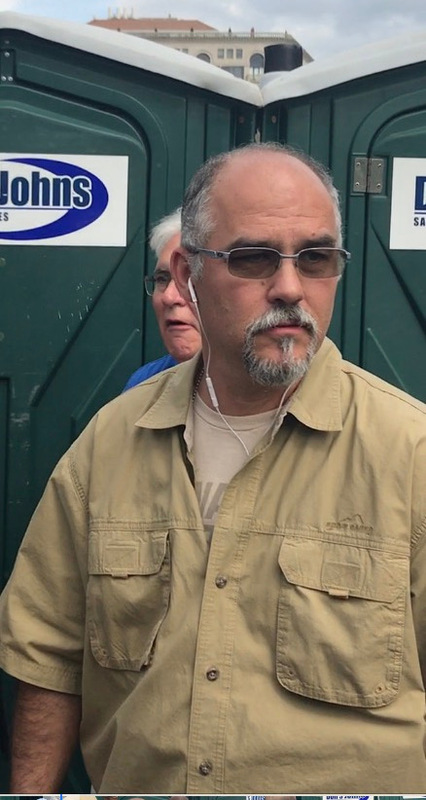 This is the undercover who acted as the neo-Nazis have been acting in his use of a lie to try and induce a local activist to discuss his case. The lie used was the same one the fascists have been favoring for the past two weeks.